on my way to the Casa Gorordo, what got my attention was this old wooden house with a series of sign posts. i should drop by. this should be something. not your usual Cebu stop spot. fortunate enough, it was another ancestral house. 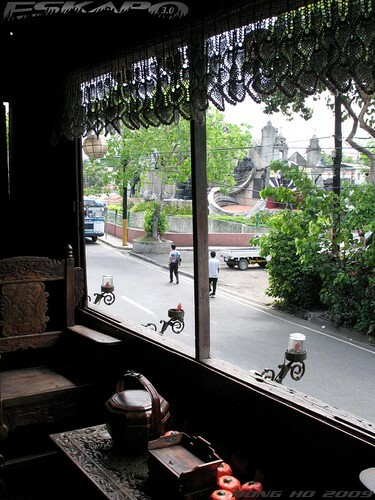 the Yap-San Diego heritage house along Lopez Jaena street just meters away from Casa Gorordo and the Heritage of Cebu monument. the many times i've been to Cebu, i never heard about this. 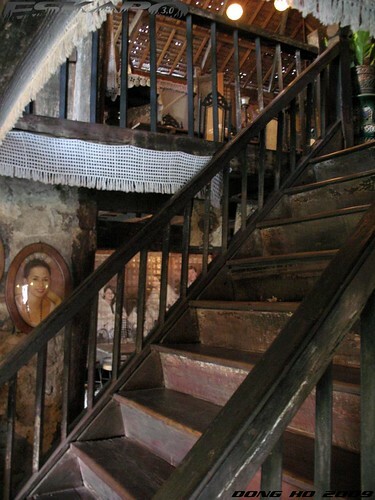 yet i learned that it is one of the oldest ancestral house in the country believed to have built in the 17th century. owned by Dona Maria Yap. it is one of the oldest and so i wondered why it did not gain people's attention? according to the guide, it remained as a boarding house for quite some time. until it was renovated little by little by Val, who inherited the house. today, like the Casa Gorordo house, it is considered as a house museum. filled with a great collection of antiques. at first look, one might even thought it's a big nipa house. to me, it's between being a bungalow and nipa house. the ground floor's walling is made up of coral stones while the second floor is made up of wood. 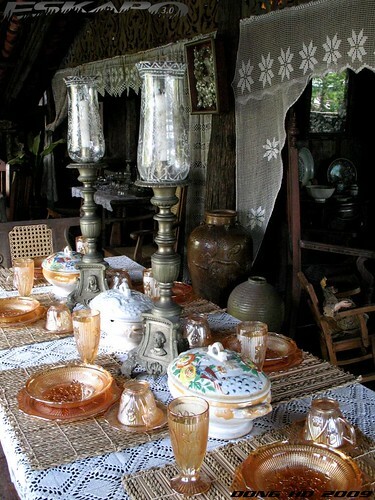 sets of antique Chinese plates, well carved furniture, antique jars, a painting over a capiz window, age old Sto Nino figures makes it a house worth seeing. 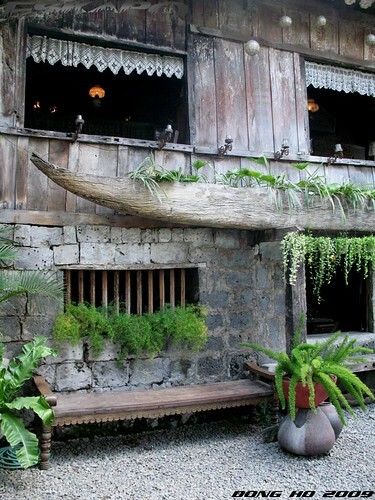 the most unusual thing i observed was the banca planter on one side of the house. this side of the house is a lot where the residents would usually stay and rest. i like how they controlled the access of the people at the second floor. one should wear a shoe cover to protect and preserve the original wooden flooring. it just needs improvement in the the way they arrange the items inside the house. 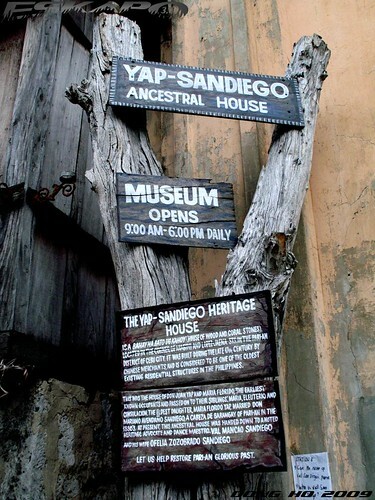 the Yap-San Diego Heritage house and museum is located 155 Lopez Jaena street corner Mabini street in Parian. taking of photos is allowed inside while a minimal entrance fee helps support its preservation. thanks to the guide of the house for taking time bringing me around the house and for all those who planned and funded its preservation. yay naunahan ako ni redlan. Very interesting house, charming rooms, nice antiques. I'd like to visit it in person. You've made a great job with these beautiful pictures. I do not know how you find these interesting places all over the country.I really appreciate that you are sharing them with us. Thanks! What a wonderful, unusual place. Gorgeous shots. They are intriguing. Happy to hear that they renovate this house little by little... It looks gorgeous. Wow !! interesting place with all that great items. Very beautiful and nice. I love the way they arrange the dinning table. minsan na din akong nakapunta ng Cebu pero di ko nakita ang mga shini-share mo dito. 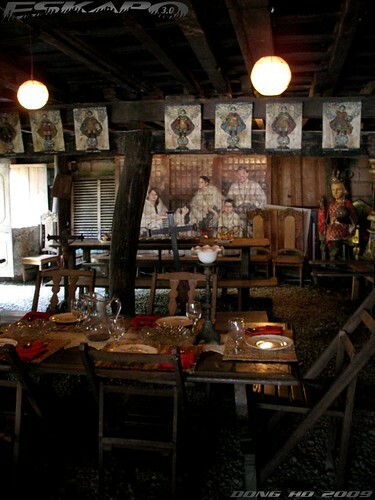 salamat sa pag sha-share nito sa amin..
i've never heard of this house/museum. looks interesting...will include in my itinerary the next time i am in Cebu. 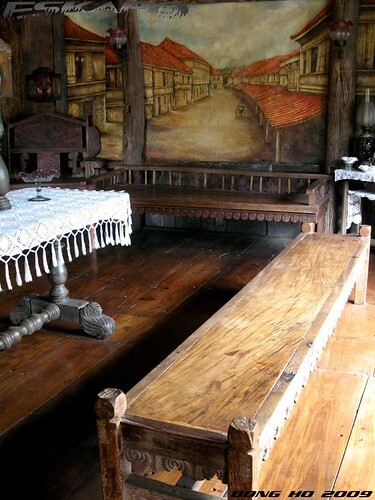 beautiful ancestral house! you captured everything as usual. great coverage, dong! Ancient times ba ito? lolz Ganda.. Na-aappreciate ko rin mga ganyang bahay, esp. kung na-preserve ng ilang taon, kakamangha. Di ko lang gusto tumira sa mga ganyan.. 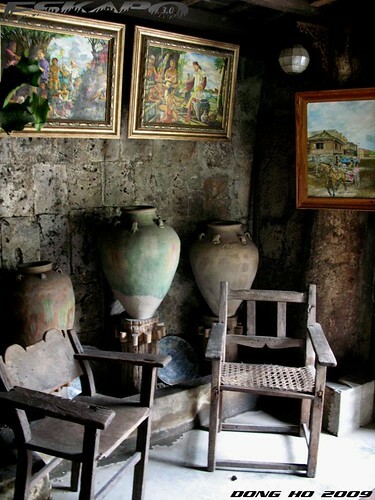 I dont really like antiques.. Kakatakot eh, ehehe. But it's great that they did maintain it. Your shots are great too, as always. Ganda naman ng bahay... SInaunang sinauna! antique na talaga ang bahay ano? di ko tuloy maiwasang maisip na baka may nagmumulto doon or something dahil madalas naman ay ganoon lalo na sa lumang mga bahay. pagdating ko sa cebu, i will try to visit this ^__^ next year na yun! Ooh! Now this one I would love to see! I love all the weathered wood and stone. I hope they preserve them, but I also hope that they don't do anything to make them look new — a sin that quite a lot of newbie owners commit. 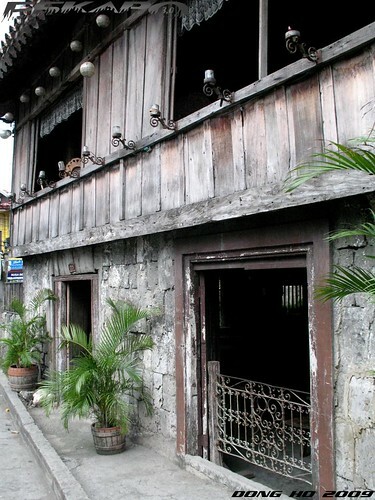 I hope more ancestral houses are being preserved like this one. It's a treasure.